I think Ortberg does us a great service by focusing our attention inward. As a leader, it is the easiest thing in the world to be caught up with activity and getting things done, with always looking forward, making plans, and working to execute them, evaluating the results, and then doing it again. And in the process we lose our souls. 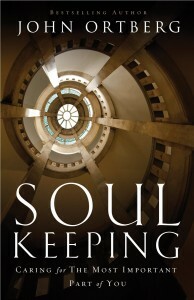 Part of the value of Soul Keeping, for me, was simply the focus. It’s a good reminder of what is most important—my being rather than my doing. Ironically, I talk about that often, as I’m sure many of us do, but when I stepped back to look at the state of my soul, I found that my reality didn’t always line up with my words. I have long believed that in ministry, and in life, we reproduce who we are. We teach what we know, but ultimately we reproduce who we are. That is true in our churches, our families, our businesses, and everywhere else we relate to people. And that means that taking the time to care for our souls is important not just for us, but for those around us. Like all of us, I face the challenge of busy-ness. Leading a church and building a business challenge me continually—I always have a longer to-do list than I can get through in a day. I have to discipline myself to take time away, to close the computer and turn off the phone in order to take time alone and take time with God. It never seems to just happen—I have to be intentional about it. One practice I recommend is actually doing a time log. Keep track of how you spend your time for a week. Get a calendar or log and write down what you actually do in 15- or 30-minute increments. It’s an eye-opening experience. It reveals how we actually spend our time as opposed to how we think we spend it. I often find that I waste more time than I’m aware of and spend less time with God than I give myself credit for. The good news is that keeping a time log allows us to correct our course and do the things that are really important. One other note: I really liked the way Ortberg described freedom. There are two aspects to freedom: freedom from and freedom for. Most of the time I think we put the emphasis on freedom from, but it is having freedom for that enables us to accomplish things and press into new areas. I talk to people all the time who don’t have that kind of freedom, usually because they have accepted a way of thinking about themselves that limits them. They have embraced a ceiling to their accomplishments or to the quality of life they could have that stops them from ever trying to go beyond that invisible line. And they end up living a lesser life than they could have. One of the most powerful and important things we can do as leaders is help people recognize that limiting thinking and break free from it. When we do, we will see the people around us accomplish more and have more joy—and that is what I call a real win, all from paying attention to one particular aspect of our soul. What do you think? 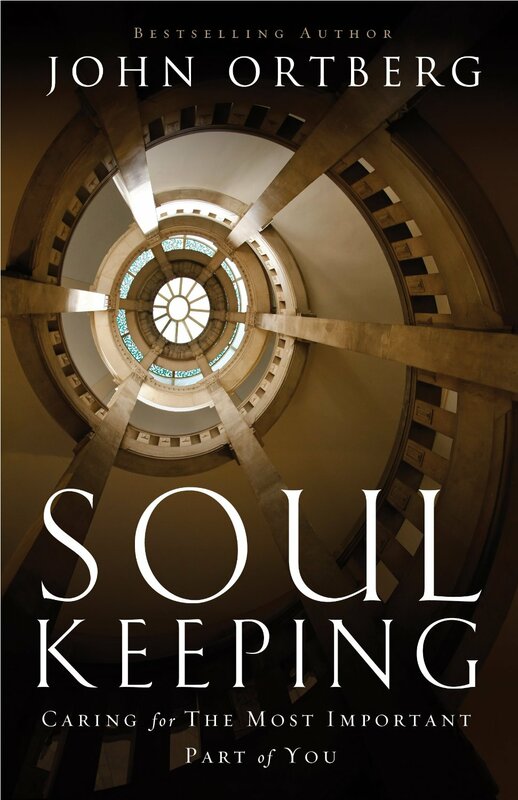 How have you cared for your soul? Any suggestions or warnings for the rest of us? A Transformational Church is what every pastor, and I hope every Christian, wants to be part of—a church that changes lives and communities. What a joy that is! The thing that really struck me was how important the basics are—a focus on evangelism and prayer. That seems self-evident, yet I find it is easy to look for something easier, a magic bullet if you will, that will lead to transformation. 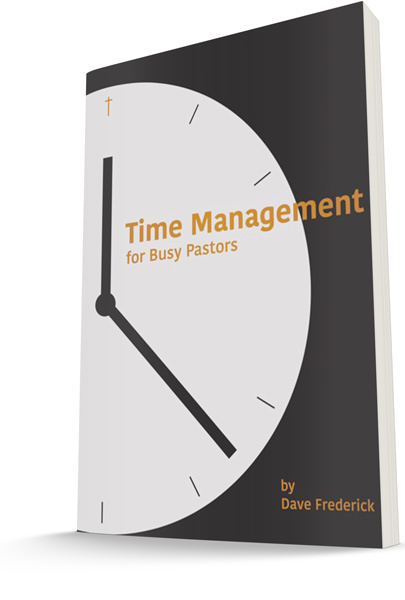 I’ve talked to many pastors of Transformational Churches; almost all of them have said they have to put great effort into keeping their churches focused outward. Without constant attention, the focus quickly shifts elsewhere. Especially if you aren’t gifted in evangelism or don’t have a deep passion for it, it’s hard to maintain that focus. But without it, we quickly lose impact. The emphasis on prayer is what struck me the hardest. I am constantly reading books on leadership, management, etc., and prayer isn’t usually mentioned. It is the easiest thing in the world to begin to depend on the latest technique or insight—which really means depending on our own strengths and abilities. 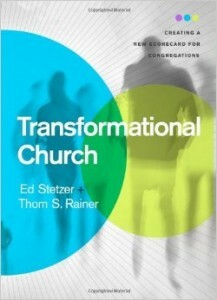 Transformational Churches emphasize prayer; in other words, they are consciously depending on God. The importance of that seems obvious, yet it often doesn’t happen. I find it is a constant struggle for me—it’s the easiest thing in the world to find something else to do. So what struck you? What is your next step? 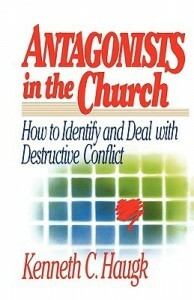 I have seen the damage an antagonist can do to a congregation, and it isn’t pretty. Kenneth Haughk does us a real service in identifying some of the patterns involved in dealing with an antagonist and in providing some ways to operate. 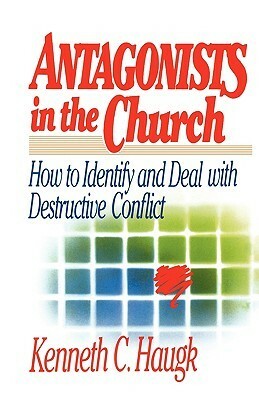 Fortunately for me, what I have seen has been in other congregations; I haven’t had to deal with an antagonist in any of the churches I have led. So I feel somewhat unable to give much perspective on this one. That said, I’m sure some of you have had to deal with it. What was your experience like? How did you handle it? What did you do, right or wrong? And what advice would you give the rest of us? 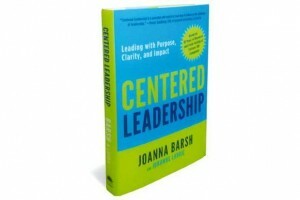 Centered Leadership is an interesting book. Rather than pouring out all kinds of wisdom, the approach requires the reader to do the work. I found it very easy to just read the questions and not really take the time to think about them and answer them. But when I did take the time, I found it to be very helpful. The part I gleaned the most from was the “Connecting” section. Ironically, while I have always believed that “there is wisdom in many counselors,” I found that I hadn’t invested in building a network to the degree I thought I had. If you asked me, I would have said that networking was a strength for me, but when I when I actually mapped things out, I found something different. One of the things I learned long ago was that facts are our friends. It’s better to know the truth than to live in a fantasy world, even if the fantasy is more pleasant. For me, that means taking some time to think more about where to invest my time to build my network. I know that in many ways success in life is influenced by the people with whom we connect and who speak into our lives. Knowing that, I am going to reevaluate how I am investing my time. What’s your next step? Share it with the rest of us. I think I fell in love with “Leadership Blindspots” before ever reading it. Over the last several years of ministry, I have become extremely aware of the presence of blind spots in myself and everyone around me, as well as how powerful and destructive they can be. By definition, we don’t see them, so we often don’t believe they are there, and that makes it very hard to believe anyone who would dare to point them out. There were several items here that stuck out to me and which I have seen in churches many times. 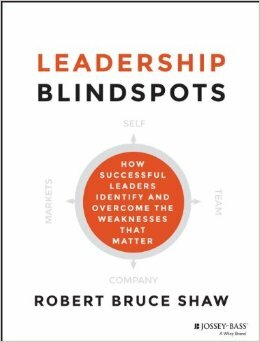 Shaw points out that it is possible for a leader of a team to believe members of his team are performing at a high level when, in fact, the group lacks the capabilities needed to lead effectively. This can be a real challenge in a church setting. We want to be nice; we want to believe the best; we want to give people grace and not be judgmental, but all of these can lead to teams that underperform. There is nothing harder than facing the reality that our leadership team is underperforming and addressing that head on, especially if the reason relates to specific people who, although they may be wonderful people, don’t have the leadership bandwidth needed to get things done. The second item that struck me was, “In the best firms, there is active debate before a decision is reached and strong alignment once a decision is made. Being able to debate and then align is a sign of leadership team strength.” It takes tremendous maturity to walk that idea out—debate vigorously and then embrace the decision wholeheartedly—especially if it is not the decision you argued for. That level of character is often rare. It’s much easier, and more natural, to hold back and not give your full support to a decision you may have disagreed with, which could cause the decision to fail (not on its merits, but due to a lack of support). Then you can feel justified, even though you may have caused the failure. Finally, I loved the recognition that leaders need to have a close confidant they can speak to in total candor. It’s rare for pastors to have that person in their own churches, but I think it’s essential. We need to have safe, wise people we can vent to, who won’t think less of us or begin judging the people we are talking about. We need people with the maturity to let our issues be our issues and give us input and feedback on them without being pulled into them. In my experience, that is a rare person, but when you find one, they’re priceless. I had a situation recently where I was in that position. I was venting to a friend about a decision, and I was upset that some of the people involved weren’t listening to me and valuing my experience the way I thought they should. My friend listened, asked some questions, and then gently and lovingly said, “It sounds a little like your pride has been touched. You might want to consider that as you think about how to respond.” I was so busted! But it was enormously helpful, and it changed both how I felt and how I acted. Friends like that are worth their weight in gold. Scale is a pure business book that takes some thought to apply to the church. I love the basic premise that we need to take time to work on our business, or ministry, and not just in it. We can get so busy working that we don’t do the things needed to actually grow our business. As one friend of mine said it, we need to work on the ministry as well as in it. One of the insights I found helpful was the idea that planning is a continuous process, not a one-time exercise. I have never seen a plan that didn’t have to be adjusted as it met with reality. Rather than just throwing the plan out, understanding that ongoing adjustments are just part of the process, is helpful and encouraging. The final thing that struck me was the emphasis on developing systems and processes. I wish someone had taught me about that when I was first beginning in the ministry! I think I went 15–20 years before I heard about the importance of systems and got some teaching on how to develop them. They are as important in a growing church as they are in a business. 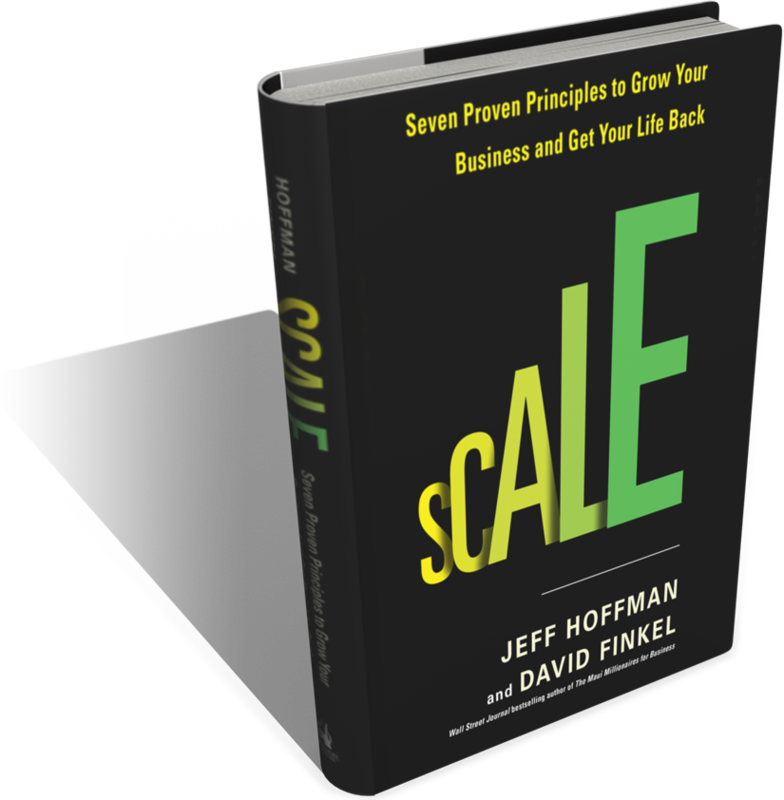 Scale details what aspects of a business need to have systems and processes developed; many apply to the church—we need to develop systems for handling our finances, planning, and leading and developing our people. I’m curious—how much time do you put into developing systems? And how have you learned to do it? We’re excited to introduce Leaders Tips. We are now going to provide one free short and concise tip each week for you. These tips will be something you can do to grow as a leader.